Compare Blendtec vs Vitamix blenders for 2019. Get easy and clear answers to help you see if Blendtec or Vitamix is the best blender for you! To jump ahead to a specific compare section, click section titles below. 8.0 SO WHICH IS THE BEST BLENDER? Of all the blenders on the market, currently, there are only two manufacturers that really stand out from the pack, Blendtec and Vitamix. They are the most prominent because of their exemplary commercial grade high-speed blender product lines. They are typically the preferred blender of choice in both the health and food industries. These brands are frequently the “go to” for commercial operations like restaurants and smoothie shops which stand testament to their superior performance and durability under the demands of high-volume usage. The manufacturers are both North American and have a large fan base. The companies both stand behind the quality of the products by offering some of the longest and best warranties in the industry. If you are looking to buy the best blender and want insights so you can determine which one is best for you and your needs and wants, then you are in the right place. This article provides a comprehensive and up-to-date comparison review on the latest Blendtec and Vitamix blenders for 2019. Herein you will find the info you need to make an informed choice as you determine which is the best blender for you. The comparison assessment is comprehensive and is organized into sections as shown in the "Content On This Page" table shown alongside here. This is the raw power we are talking about. It's essential for difficult blending tasks, such as frozen produce, ice, hard raw vegetables and leafy greens. Without it, you are likely to experience results like lumpy smoothies, soups and sauces or even worse beaten looking salads. That being said, both are incredibly powerful blenders with plenty of power and torque to easily blend any food product. Which has the Best Blending Power? Blendtec and Vitamix are the top most powerful commercial grade blenders for home use. Both can blend any food ingredients. However, as evidenced by the data in the following table comparing specifications, Blendtec clearly makes blenders with the most power. This is humorously illustrated on the Will It Blend YouTube Channel with the blending of golf balls, iPhones, iPads, marbles and other hard non-food items, which showcases the power of Blendtec blenders. How does more power benefit you? In the real world, more power means it can tackle your tougher blend tasks that would make many a lower powered blender croak, and that all your blending tasks are completed faster, easier and smoother. So, you get to enjoy all your premium blended smoothies, hot soups, ice cream, dips, sauces, marinades, batters and more in less time. Historically, both companies took very different strategies in this regard. Vitamix was all about manual controls, fans of this line appreciated the simple and intuitive controls. Blendtec believed that perfect blends could be achieved every time with a selection of preprogrammed cycles. Fans of this line appreciated the hands-free automation options for common blending tasks. Vitamix has obviously reconsidered the benefit of automation with preprogrammed cycles as they now include them on many of their high-end models. More on that in the following. The manual controls on a blender, enable you to simply turn on, select speed and blend. Depending on your blender make and model, the range of speed options will vary. In our comparison, speed ranges offered are as low as one speed and as high as one hundred speeds. What is the benefit of manual controls? The benefit of manual controls is that it provides a simple select speed, turn on and blend until desired texture and consistency is reached. Models with more manual speed options offer greater precision capabilities to achieve desired textures. When you use manual controls for blending, you may select a speed and just turn on to do a little (ex: a brief mix) or a lot of blending (ex: hot soups). To completely customize blend mixtures to your exact preferences from start to finish. Depending on the type of blend ingredients and desired texture, manual speed controls help you achieve your looked-for result and/or preferred consistency. Adding blend time to a pre-programmed cycle, after adding secondary ingredients. Adjusting blends to taste like when adding more sweetness, saltiness or other seasoning and for which only seconds of additional blend time is wanted. Those that like to control all blend speed settings and blend time will most appreciate manual speed control options. Also, those that love the automatic preprograms, but appreciate being able to add a bit more blend time at a preferred speed at the end of a completed pre-set cycle. How does Vitamix and Blendtec compare? Vitamix’s product line for 2019 has 10 variable speeds. The RPM range is between 500 and 37,000. Blendtec blenders have between 1 – 100 speeds with a RPM range of 4,080 and 28,000. About lower speeds: These are useful for food processor type functions like chopping. Blendtec has a dull blade which does less aesthetic chopping but gets the job done. Vitamix has a sharp blade which does better with slice chopping. However, if you intend to do a lot of chopping and want precise aesthetic chops all with most consistent size and shape, then a food processor will be a much better choice. Which Is the Best Blender for Manual Speed Control? Blendtec wins for best blender manual speed controls with their Designer 725 Model. The 725 Model offers the most in manual control. A 100-Speed Capacitive Touch Slider with Multi-Speed Pulse is accessible from its digital touch screen interface, providing extreme precision control. The display screen advises you what task your speed selection is best suited for, such as chop, mince etc. These are options on your control panel. Just select the item such as smoothie, ice cream/frozen desserts, hot soups, or other, and it will perform the appropriate blend cycle. The blender then starts, runs a variety of speed cycles and stops when done. These pre-programmed blend cycles are designed by the manufacturers to deliver optimal blends. Who is this most beneficial for? It is great for multi-taskers. As it makes blending more efficient. Simply select a blend and be free to do other tasks. It is great for those new to blending and value the assurance of perfect done for you blends. Which is the Best Blender for Automatic Control? Blendtec wins the competition for best automatic controls with pre-program cycles. It should not come as a big surprise as Blendtec pioneered this function. The Designer 725 comes with 6 pre-set cycles (smoothie, hot soup, frozen treats, dips/sauces, whole juice and a clean cycle). It also has a nifty “add 10” feature, (which adds a ten second blend time extension with each tap) for when you need a tad more. You can combine this option to add up to an additional 90 seconds to a blend. Plus, it includes the timer displaying blend time and count down. This is the dimensions of the fully assembled blender jar + base and tamper - when applicable. Having a powerful blender can be great for your health, however if it does not fit conveniently under your kitchen cabinetry and you must store it elsewhere, then this would likely impact how often it is used. The saying “out of sight, out of mind” seems quite fitting for this set up and if it is not easily accessible, people may not want to use it. Traditionally, upper cabinets were hung 18 inches above the counter. There is a trend with newer kitchens to hang them 21 inches above. Either way, clearance height will be reduced if your cabinets have any decorative moldings or under cabinet lighting. The importance of the dimensions of a blender are individualized and unique to your kitchen. Know your cabinet to counter height as this will determine how much space is available for storing and using your blender. The more clearance you have will determine what dimensions are acceptable and preferable for both storing and operating. Which is the Most Kitchen Counter Friendly Blender? 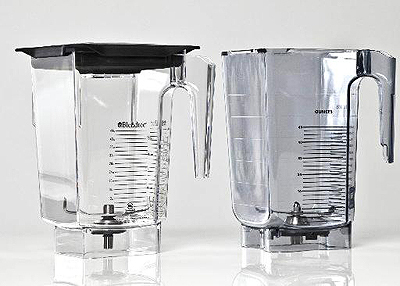 Blendtec wins the dimensions’ competition as their blenders are more compact than the Vitamix blenders. The Classic and Designer series should fit under most cabinets, even those with decorative moldings. The cleanup process can be broken into two separate tasks, cleaning the blender jar and cleaning the blender base. The more tedious the process is, the less likely you are going to clean it which can impact how often it is used. In addition, if you are making multiple successive blends (ex: multiple blend dishes for entertaining or family), if the jar design impedes fast cleaning in between, then successive blending will take more time and effort. To determine which blender is best for cleaning, the following compares the blender jar and the blender base separately. Usually cleaning the jar can be done fast and easy by simply adding some water and a little dish washing liquid to the jar, selecting the clean cycle pre-set on your blender (if the model has it) or else just let it run briefly and then rinse clear. This will remove blend residuals around the blade and jar interior. However, for stickier blends like nut butters, thick batters or for blends that are not cleaned promptly, these can require a more hands-on approach involving some sponging and possibly scrubbing. When you need to do hands-on and, in the jar, manual cleaning, this is when the blender jar and blade design become an important consideration. In general, having a wider base along with dull to touch blades is most ideal, as it makes cleaning around the blade and jar bottom, easier and safer. How does cleaning a Vitamix Jar compare to cleaning a Blendtec Jar in the 2019 product lines? Older Vitamix’s blender jars have sharp blades, and all but one model, comes with a wide bottom jar. The exception is the C 5200 which comes with a narrow bottom jar (the Classic 64-ounce Container). Cleaning the wide bottom jar style is the best for hands to easily access the bottom part but navigation around the sharp blade of either the narrow or wide jar will need to be done with caution. All Blendtec blender blades are blunt dull, making it safe to navigate around the blade. All the Blendtec blending jars share a wide style bottom base design. Although the width at the smallest part of the base bottom differs depending on whether the jar model is a large capacity, small capacity or specialty purposed model. Of the blending jar product line, the narrowest part of the jar bottom base diameter ranges between 4 3/8” for the WildSide+ and 3 ¾ base bottom for the specialty Twister Jar. In our personal experience, all jars are easy for both male and female hands to access with a sponge and clean. Having both the safe blade and wide base, we find the Blendtec jars easiest to clean. However careful you are, at some point you will spill or splash some of your blend contents on the base. The cleanup process is much easier with a smooth capacitive touch interface than with a switch and dial. Blender bases with knobs and or dials for blending control, require more intricate cleaning attention to clean spills, splashes, dirt, grime, bacteria and germs from nooks and recessed areas. Smooth exterior blenders with sealed and protected, smooth touch controls, are faster and easier to clean and they typically only require simple damp wiping. Blendtec Designer blenders and some next generation Vitamix blenders have completely smooth, easy to clean control interfaces or a hybrid of both dial and capacitive touch. Which is the Best Blender for Clean Up? One of the perks of owning either one of these blenders is the great warranties they offer. They are a testament to the quality and reliability of these products, especially when compared to regular 1-year warranties offered by many other blender manufacturers. Blendtec’s standard warranty on all new blenders is 8 years. The exception to the rule is the Professional 800 (A.K.A: Pro 800) which comes with a 10-year warranty. Vitamix’s standard warranty on all blenders is 7 years. However, Vitamix is offering a 10-year warranty on their new Ascent series blenders. Both offer entry models with lower warranty terms. Which Blender has the Best Warranty? The winning blender line with the best warranty is the Vitamix Ascent Series and the Blendtec 800 Pro, for offering an outstanding 10-year warranty. These blenders are loud. You will not conduct a normal volume conversation while they are running without raising a voice or straining an ear. It can impact others, even when they are in another room. Try watching a key scene in a movie with the blender running in the next room. “I see dead people.” But I hear a blender! Argh! Can you do it? Yes, but it will impact the experience negatively. With that said, it’s important to remember that most blend tasks are only a minute or two long. Patience is a virtue for a reason! If quieter operation is important, then the Blendtec Professional 800 may well be the best solution for you. Its advanced sound enclosing dome makes an obvious difference and has many fans for this reason. Along with blending power, the blender jar design is an integral component in achieving smoother blends done faster. You can have the most powerful blender engine available, but if the jar and blade system is poorly designed, the results will be found wanting. Blendtec and Vitamix Blending Jars - All current blending containers from both companies are BPA-Free Eastman Tritan copolyester plastic. All jars have volume measurement marks. These containers are light-weight, very strong and quite difficult to break. All blending jars purchased separate from a blender unit have a three-year warranty. Both manufacturers offer an array of large, medium, small and specialty jars for use with their blenders. Jar Selection – Blendtec and Vitamix both provide excellent large general all-purpose type jar(s). These jars will complete all your blending tasks. But the quality or level of effort to complete a blending task can vary. Both Blendtec and Vitamix have produced additional jars optimized for more specific blending tasks, such as smaller volume blends, making flours from grains or making extra thick type blends, like nut butters. To get the most satisfaction with your choice of blender it is recommended, that you evaluate your blending requirements. For blenders purposed to prepare extra small volumes, extra thick, more than one part of a meal or to serve multiple person households, having additional blending containers can prove most valuable. Container volume - All jar volume capacities are listed in the above table. Vitamix historically has leveraged a sharp blade system. However, in recent years they have been moving towards more of a dull blade system. So newer Vitamix blender lines, such as the Ascent Series are promoted as having a dull 4 prong blade that pulverize rather than slice and is consequently safe to touch. Although, in our opinion, the Vitamix blades are not completely dull because we found they still have sharpness to touch which could pose a cutting risk when doing a hands-in manual clean. We feel Vitamix’s apparent journey toward embracing dull blade technology still has a way to go before its blades can be considered truly blunt blade safe. Now, unlike Vitamix, the Blendtec blade system has always been completely dull with a thick 2 prong dull stainless-steel blade. Instead of slicing the jar contents like a sharp blade system, these blunted blades literally pulverize its blends to desired texture conformity. The Blendtec non-sharp blade system makes cleaning safe and most easy. Vitamix containers come with a rubber spill-proof vented lid with a center plug that can be removed to add ingredients while the machine is running. Its also used for the tamper. These lids have a “locking tap” that snaps on the lip to keep the lid on securely for blending. Blendtec blending jars come with a square vented Gripper lid that presses in place. It also has a center plug for adding ingredients. A minor “flaw” in the Blendtec lid design is that if you overfill the jar it may not stay on as securely. Some customers have even complained of lid’s popping off. However, this is associated with over filling the jars and not following loading and volume usage instructions. This is another major design difference between both manufacturers. Vitamix jars come with their signature tamper. The tamper is a wand that is inserted through an opening in the blender lid. It is used to help process thicker mixtures by manually forcing recipe ingredients back onto the blades. The tamper assists thicker recipes, such as nut butters or frozen treats. Blendtec jars do not have a tamper. Blendtec has been very vocal in emphasizing this distinction. Their amusing “Can it Blend it”, YouTube channel, famously proclaims “A messy plunger” is not required to make excellent blends. They contend that their patented blender jar designs, when properly loaded is all that is needed for great blends. 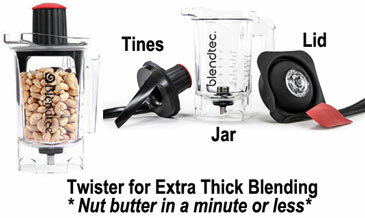 For extra thick blends, Blendtec does have a specialty jar called the Twister. With all that said, the tamper makes the Vitamix jars generally more adaptable as it enables them to tackle the more challenging thick blends regardless of how ingredients are loaded. Sometimes the little things can make good products into great ones. Features that enhance convenience can be the carburant needed to propel a product to achieve greatness. Let’s look at the features of each line and how they enhance your convenience. Cleaning of Jar Blades: Blendtec’ s use of blunted blades makes cleaning safer and easier without the concern of cutting oneself on sharp blades. Stackability: Blendtec jars have always been stackable. Jars of the same model can stack into one another. Not all Vitamix blending jars are stackable. However, the newer Ascent Series jars are. For owners with multiple jars (great for multitaskers or those with a multiple smoothie rush hour), being able to stack them greatly reduces storage space required. Measurement markings: Both feature measurement markings on their blending jars. Blendtec has it in black, and Vitamix has it in white. With the black print, we feel the Blendtec jars are much easier to read than the Vitamix. Compatibility: All Blendtec jars are compatible with all its blenders. Not all Vitamix jars are compatible with all its blenders. We’ve thoroughly covered the blender bases and jars. Now let’s get to end game! 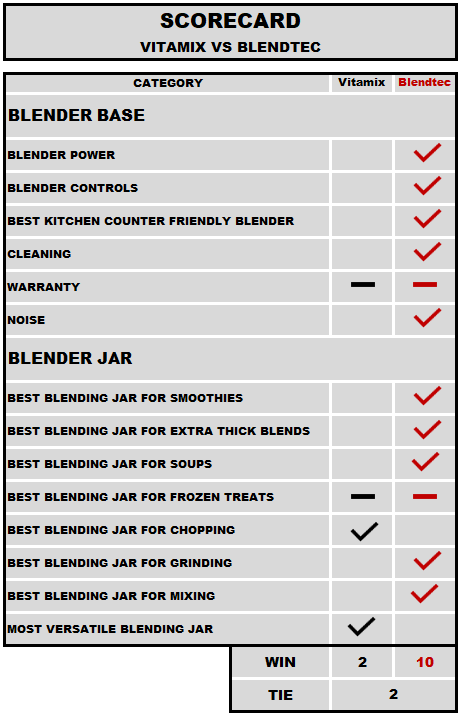 Enough said, without further ado, which jar is best for specific everyday blender tasks? This is where the WildSide+ really excels, the patented 5th side helps form a blending vortex that pushes everything towards the blender blades. This cyclonic action produces excellent blending results faster than other blender jars. This is where the Vitamix jars with tamper really shows its “raison d'être”. The tamper easily handles cavitation pockets. The tamper is effective at pushing blender contents onto the blade for good blending results. On the other hand, with thick blends, the general purpose Blendtec jars (WildSide+ and FourSide) can struggle a bit with possible cavitation (such as when blend ingredients hover out of reach of the blades). For Blendtec, those types of blender recipes in one of their all-purpose jars, may require adequate liquid to prevent cavitation or else intervention like a side wipe. However, Blendtec owners that have the Twister Jar, can make those very challenging thick blends faster and easier than other blender jars. This jar is designed specifically for the thick blends and has a very different jar design to tackle the challenge. The Twister Jar provides a twisting lid and long tines, which scrape the sides of the jar and move contents into the blades. It effectively reduces time it takes to make thick blends like nut butters from minutes to only seconds. Blendtec easily takes this category with their FourSide jar. The combination of a four-sided angular jar and the blunted blade system generates more friction, heating soups and hot drinks noticeably quicker than the Vitamix contenders. For the WildSide+ fans out there, do not despair, the FourSide is only marginally faster at blending soups and drinks to your preferred temperature. Both Blendtec and Vitamix jars make deliciously smooth frozen treats. With the Vitamix the frozen blend is made easier by leveraging its tamper with its jars. With the Blendtec they too can make frozen blends in any jar, however the Twister Jar does this exceptionally well. The tines of the Twister tackle all extra thick blends and frozen treats with ease as it forces any blend contents from the jar walls back into the blades. Despite both manufacturers claims that their blenders can perform chopping functions, neither blender perform this function exceptionally well but can get job done. If you’re looking for aesthetic chopping, you are much better off using a true food processor. However, if you want your blender to do chopping often, and seeking the best option than the Vitamix is somewhat better because it can reach lower speeds than the Blendtec units, thereby providing more controlled chopping and by having some sharpness on their blades there is more slicing action. So while Blendtec Jar blades can chop, there are better suited for pulverizing. You can grind grains, seeds, beans or nuts into flours in any Blendtec or Vitamix jar. They all deliver terrific results. Grinding grains can scratch the jar interior. Scratched jars will get cloudy looking and be more susceptible to holding smells and stains. If you intend to grind frequently, you might consider getting a dedicated jar. Repeated grinding using a wet blade system may necessitate maintenance or replacing a wet blade jar sooner. Vitamix says that “blade assembly are a wear item and require period replacement based on use”. For the longevity of your blending jar blades, it is recommended that such tasks be done in the Vitamix dry grain jar. As such Vitamix developed a dry grain jar with a blade design intended to grind dry grains and nuts. Please note, heavy usage may still necessitate eventual replacement of the blade assembly. Because of Blendtec’s blunt blade system, their jars do not share this issue. If you choose to get a second Jar for grinding then, the Blendtec FourSide jar is the best because its medium to large capacity scales well for most common grinding tasks, it’s lower price and it is having the blunt blade system (like all Blendtec jars). Both Blendtec and Vitamix can be used as a mixer. There are blender recipes that will say to mix your wet and dry ingredients in the blender and others that say to only mix the wet in the blender and then pour that into your dry ingredient bowl to hand mix and proceed manually with your rest /rise and kneed etc. from there. While you can do both, for dough type recipes, we often prefer to only mix the wet ingredients part and then manually mix that into the dry bowl ingredients as it can require some finesse. Both Vitamix and Blendtec get the mixing job done. Although for mixing we feel that the Blendtec is a little easier when doing recipes that mix both the wet and dry. This is because removing a thick batter from Blendtec’s dull single blade jars is a lot easier than Vitamix’s not so dull 4 prong blade jars. The Vitamix jars with tamper are unquestionably the more versatile jars. You can make thin or thick recipes all in the same jar. While not the best jar in either category, the Vitamix tamper, makes their jars the most versatile in general. So, who makes the better jar? It depends on how you are evaluating the jar. Are you asking to determine what blender will make you most happy and satisfied having and using? 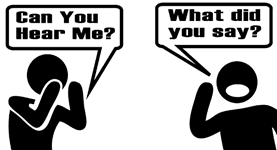 If so, the answer is a personal one and will differ from person to person. The answer and verdict as to who makes the best jar is subjective in many ways from looks and biases but from a practical standpoint it is about what you intend to use it for most often. So, if you want this to make smoothies and love faster easier extra thick blends like smoothie bowls or nut butters and want easier to see black print measurement markings then you’d say that Blendtec makes the best jar. But if you want a jar that is versatile and comes with a tool on all its jars to do extra thick blends than you may say that Vitamix is for you. Sep 10, 2012. Federal Court Ordered Vita-Mix to pay rival Blendtec for selling blenders that infringed on two of Blendtec's patents. Are you asking who shows the most innovation in design leading the way that others try to copy and imitate? If so, the answer can also vary as this can get muddied in lots of opinion. However, there is some news and history that gives perspective that may have many changing their thoughts on who is the leader with innovation that others try to copy and imitate. What is the news that could impact your opinion? Consider the following court case where one company was penalized $24 Million Dollars in a lawsuit for Patent Infringment and you decide. Some say it is a telling point that Vitamix lost the long dispute over a patent infringement suit to Blendtec and the U.S.Court of Appeals upheld the judgements on September 10, 2012. On the Blendtec company news, it reports on September 10, 2012 "In the ruling issued September 6, Federal Circuit Judges Pauline Newman, Alan Lourie, and Sharon Prost affirmed the US District Court’s earlier ruling that Vita-Mix had knowingly and irreparably harmed Blendtec by intentionally copying the company’s WildSide* jar—a five-sided container that blends more quickly and completely than other containers. The affirmation should bring to a close the protracted legal efforts by Utah-based Blendtec to protect its intellectual assets, upholding the lower court’s $24 million damages award—one of the largest patent infringement awards in the history of Utah"
The 5-sided jar design was designed by Blendtec CEO Tom Dickson. It is said to have dramitically changed blender technology by offering much faster blends than ever. Blendtec's blog says "In 2001 Blendtec introduced the WildSide jar, designed with a distinctive fifth side. Competitor Vita-Mix noticed. After attempting—and failing—to devise a competitive jar of its own, Vita-Mix decided to willfully copy Blendtec’s design." 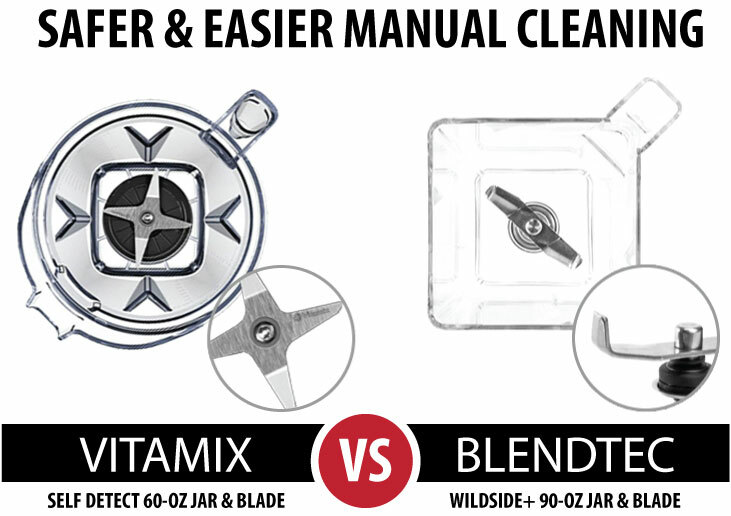 See image included here of Blendtec's five sided jar design known as the WildSide Jar (left) and the Vitamix five-side jar (right). The federal judge granted a motion that forbid Vitamix from making the jar. Vitamix no longer makes or sells the five-sided jar design. See patent infringement information sources here, here and here. 8.0 SO, WHICH IS THE BEST BLENDER? Blendtec and Vitamix both make great blenders! However, which is the best blender? This really comes down to what is important to you and personal preferences. Is price your primary determinant, or do you need a quiet blender. To help you out we have provided a summary table of key elements to look for in a high-performance blender. Check out the score card below for a summary on wins. Still have question? We have more resources to help you decide what blender is best for you. Vitamix vs Blendtec Blender Battles – This series of articles compares some of the top Vitamix models for 2019 against comparable Blendtec blenders. So, if you are still debating which is best, then Blender Battles is for you. This comparison puts one Vitamix and one Blendtec in a boxing ring, and they fight it out. You get to see who wins at each round. Lots of fun and some of it can get messy. Front row seaters come prepared – wear a rain coat or just embrace it. Ready? Check it out, click: Vitamix vs Blendtec Blender Battles. About the Manufacturer Blendtec. The parent company is K-TEC, Inc. The founder id Tom Dickson and it was founded in 1975. Headquartered in Orem, Utah, United States. They are sell commercial and residential blenders. Source here. About the Manufacturer Vitamix. The founder is William Barnard in 1921 and it is owned by the Barnard family. They are based in Olmsted Township, Ohio, USA since 1948. They are makers of high performance blending equipment. Source here.